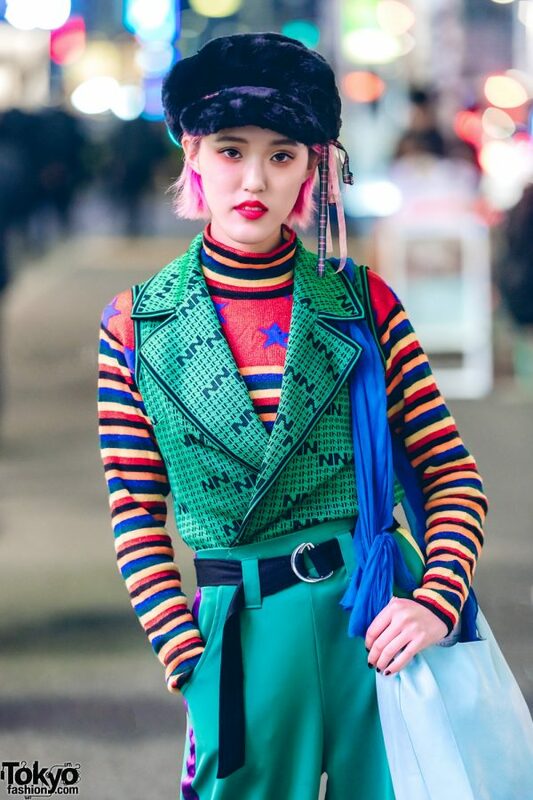 Rikarin is a 21-year-old Japanese college student who works in Harajuku and is well known on the streets. 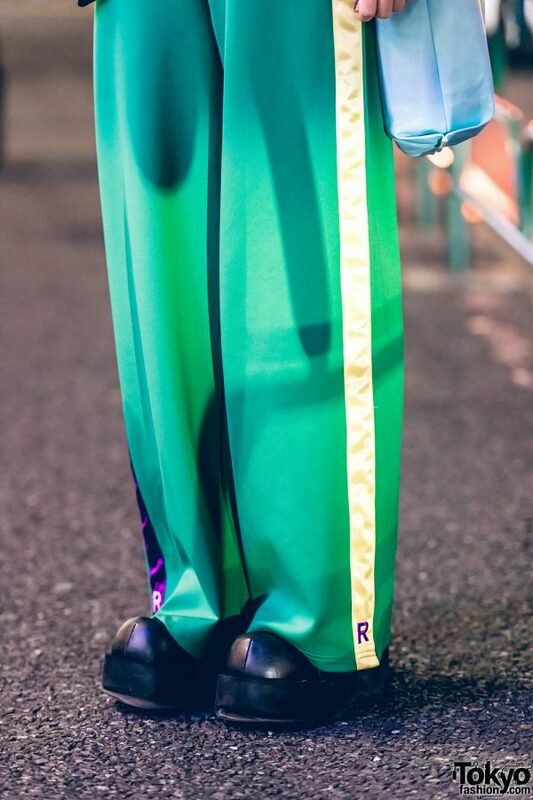 When we met Rikarin this time, she was wearing a green street style that features layered tops from the Tokyo vintage/resale shop Kinji Harajuku, RRR by Sugar Spot Factory pants with a side stripe, and Demonia platforms. 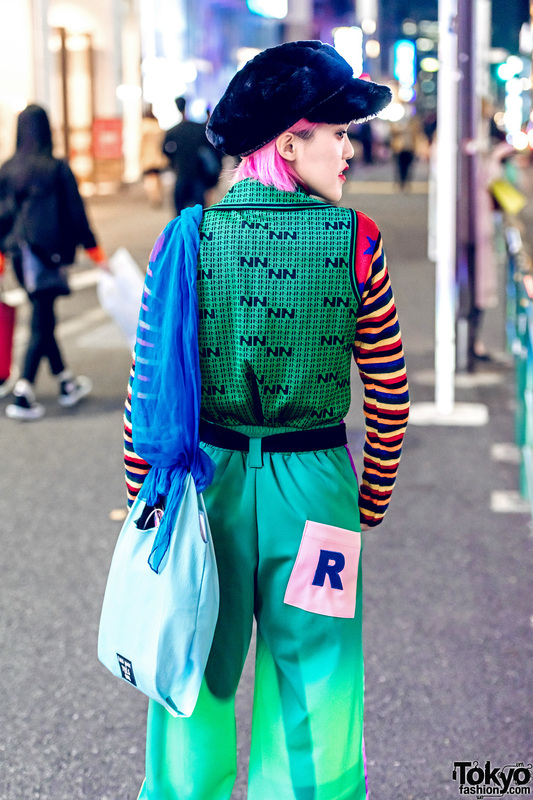 Accessories include a furry hat from GU accenting her pink hair, a black canvas belt, and a cute Paris House “Tres Cool” tote bag. 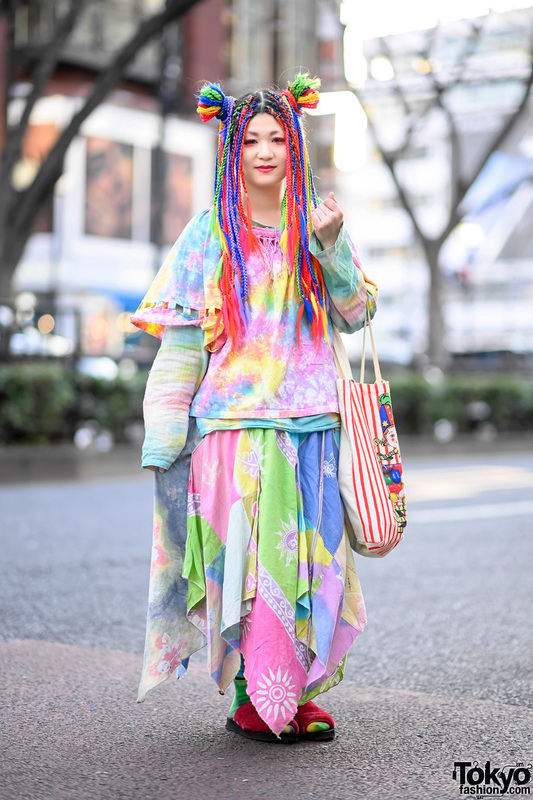 Rikarin’s favorite fashion brand is the iconic Harajuku kawaii label 6%DOKIDOKI. 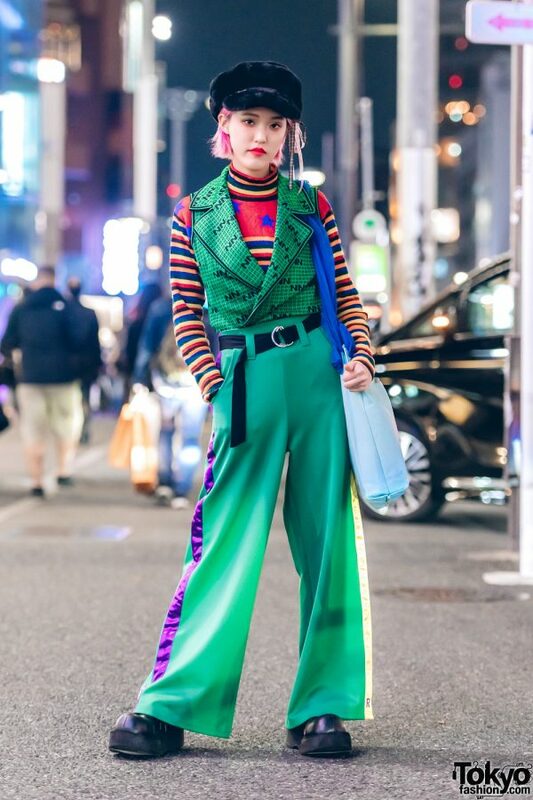 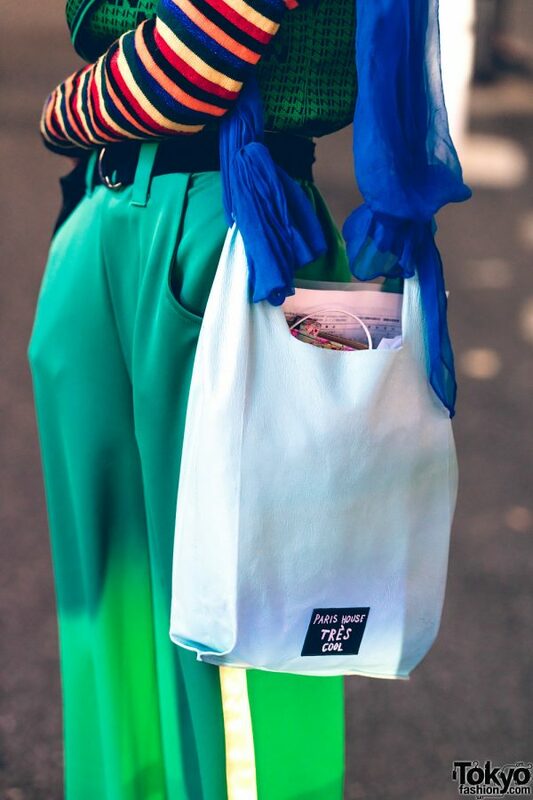 She is active on both Instagram and Twitter if you’d like to follow her daily street fashion.